The most intriguing Star Wars books coming out have been the ones that flesh out the extensive gap between Return of the Jedi and The Force Awakens. 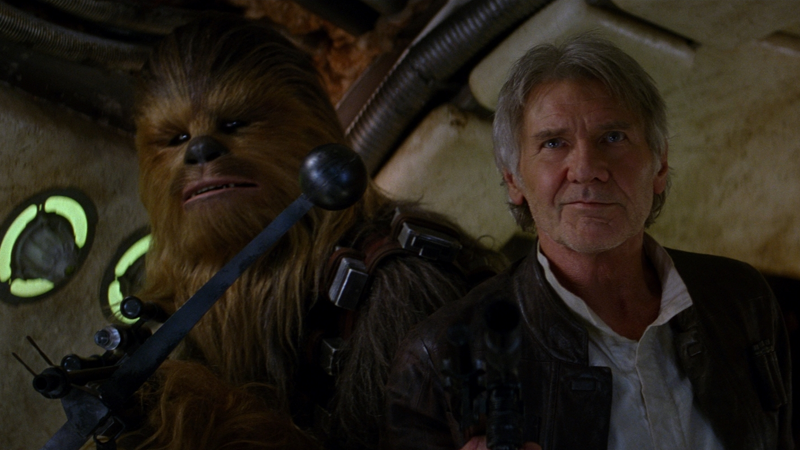 Chuck Wendig’s Aftermath was one of them, and now its sequel is going to tell us what Han and Chewbacca were up to after the destruction of the Death Star II. Meanwhile, Norra Wexley and her band of rebels pursue Admiral Rae Sloane and the remaining Imperial leadership across the galaxy. Sloane, increasingly wary of the mysterious fleet admiral, desperately searches for a means to save the crumbling Empire from oblivion. Even as Imperial forces fight to regain lost ground, Princess Leia and the New Republic seek to broker a lasting peace. But the rebel’s hunt for Admiral Sloane is cut short after the disappearance of Han Solo and Chewbacca. Desperate to save them, Leia conscripts Norra, Sinjir, Jas, and the rest of their team to find the missing smugglers and help them in their fight for freedom. Uh-oh. Poor Han and Chewie! The heroes of Aftermath—the first in a trilogy of novels—are recruited by Leia to go find Han and Chewbacca, and help them liberate Kashyyyk once and for all. Which means yes, Temmin Wexley—aka Snap Wexley, aka “Greg Grunberg’s chubby X-Wing Pilot in The Force Awakens”—got to help Han Solo and Chewbacca free Kashyyyk. You do you, Greg Grunberg. But this is pretty cool, as we loved the cast of Aftermath—they’re some of the unsung heroes of Disney’s fledgling expanded universe. An implosive sound—foomp. The air lights up around them, a hard pulse of bright light. It concusses the air, too, hitting her like a thunderclap. Norra is suddenly blind and deaf, her ears ringing, her vision washed away in a tide of searing white. She fumbles for the blaster at her side—she whips it out, and it’s suddenly rocked out of her hand, clattering away. A shape emerges in front of her as the white light begins to recede: a person-shape. Norra thinks: Aram has us. We thought we were watching him, but he was watching us. She leans forward, starts to stand. “Don’t move,” comes a voice. Quiet, but urgent. Man oh man, this is good stuff.